Marie Gemmell, 36, tried to protect 3-year-old Cole and 1-month-old Devon from the smoke and fire. GAITHERSBURG, Md. – Residents of a suburban community adjacent to a small, regional airport said they don’t give much thought to the jets that fly over their homes daily. But the sound they heard Monday – a plane flying much too low and struggling to remain aloft – was different. It was followed by a horrifying scene on the ground. A mother and her two young sons, one of them just a month old, were killed Monday morning when a private jet crashed into their two-story wood-frame home, which was engulfed in a fireball immediately, authorities and witnesses said. All three people on board the plane also died. Marie Gemmell, 36, tried to protect 3-year-old Cole and 1-month-old Devon from the smoke and fire, but there was nothing she could do, Montgomery County police spokesman Capt. Paul Starks said. Her body was found in a second-floor bathroom, lying on top of her sons. The jet’s fuselage crashed into the front lawn of an adjacent home, which was heavily damaged by fire, and investigators believe one of its wings, which had fuel inside, sheared off and tore through the front of the Gemmell home, said Robert Sumwalt, a National Transportation Safety Board member. Witnesses reported seeing and hearing a secondary explosion after the plane hit the ground. The plane took off from Chapel Hill, North Carolina, and was approaching a runway at the Montgomery County Airpark, about a mile from the crash site, when it went down, Sumwalt said. Witnesses reported that the plane was flying too low and careening wildly before the crash. “This guy, when I saw him, for a fast jet with the wheels down, I said, ‘I think he’s coming in too low,”‘ Fred Pedreira, 67, who lives near the crash site, told The Associated Press. “Then he was 90 degrees – sideways – and then he went belly-up into the house and it was a ball of fire. It was terrible. In 911 calls released by authorities overnight, shock and alarm is evident in the callers’ voices. Another caller said he heard a giant explosion. 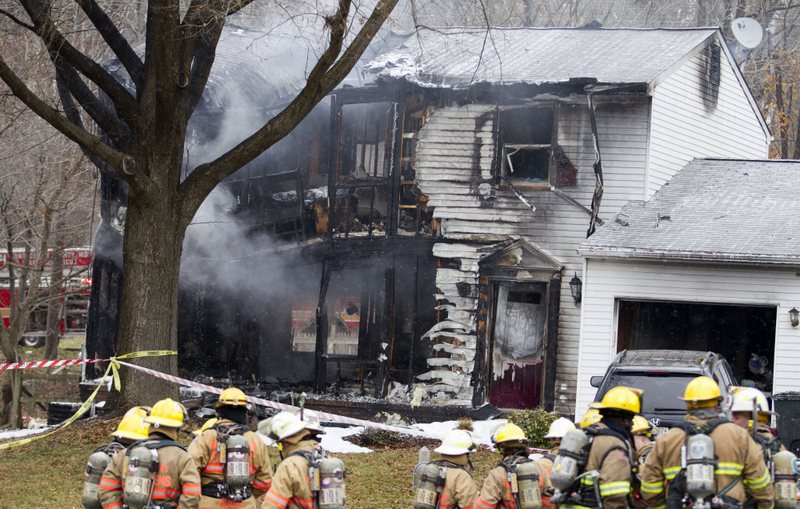 The home was gutted by the crash and ensuing blaze. The first floor was nearly completely blown out and smoke drifted from a gaping hole in what was left of the collapsing roof. No one was injured in the two adjacent homes that also had major damage. The founder and CEO of a North Carolina clinical research organization was among those on the plane, officials said. Health Decisions of Durham said in a news release that Dr. Michael Rosenberg was among those killed. The other two passengers were not immediately identified. 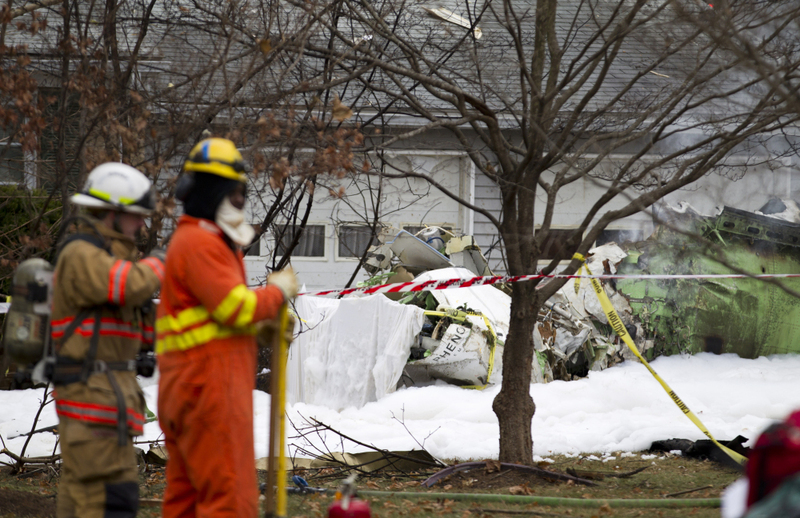 Rosenberg was a pilot who crashed a different plane in Gaithersburg on March 1, 2010, according a government official who wasn’t authorized to speak publicly and asked not to be named. Investigators were still trying to determine if Rosenberg was at the controls at the time of Monday’s crash. NTSB investigators recovered the cockpit voice and flight data recorders from the plane, and they were in good condition, Sumwalt said. Investigators planned to remain on the scene for up to seven days collecting evidence. The agency planned to look into everything that could have led to the crash, including crew experience and proficiency, training and procedures, equipment performance, weather and other environmental factors such as birds, Sumwalt said. Associated Press writers Joan Lowy and Amanda Lee Myers in Washington contributed to this report.